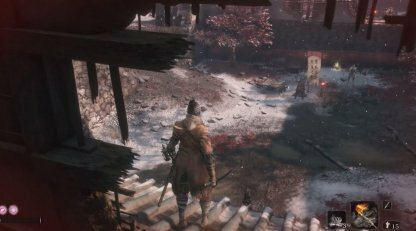 Check out this Sekiro: Shadows Die Twice guide & walkthrough for Returning The Bell to vs. General Tenzen Yamauchi. 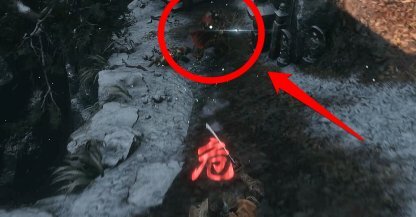 This includes Chained Ogre boss fight, gameplay tips, hints, techniques, & tricks! 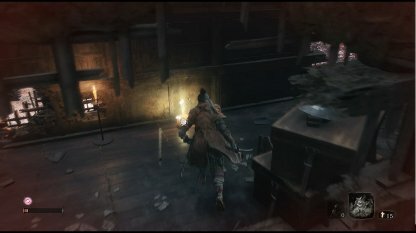 Before killing the two enemies at the bottom of the stairway, you will be given the option to eavesdrop. You will learn that Red eyes fear fire. This will come in handy when facing the Chained Ogre, and other red-eyed enemies. It is best to dispatch the enemy with the spear at the top of the slope. This way, there will be no interference against you and your fight with the Chained Ogre! Defeating the Chained Ogre will reward you with a Prayer Bead, and a Shinobi Medicine Rank 1 skill. This will help you increase your attributes, and learn a useful Latent Skill to survive longer! 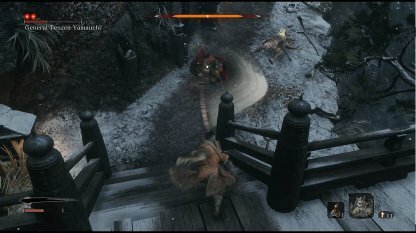 Check Out How To Beat Chained Ogre! Staying out of sight of the Chained Ogre will eventually lower your detection meter. When it is gone, you can sneak up to it, and immediately take out one of its HP Nodes with a Deathblow. 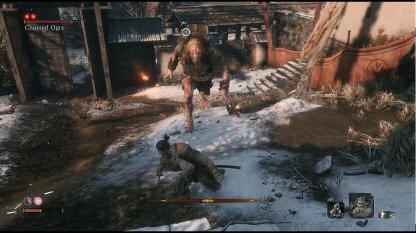 Keep in mind that you need 2 Deathblows to kill the Ogre. 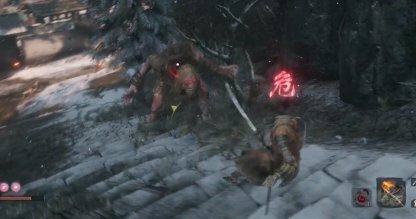 If you eavesdropped on the pair of enemies earlier on, you will learn that the enemies with red glowing eyes are weak against fire. 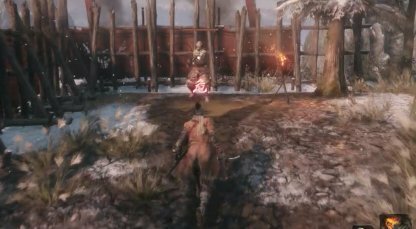 The Flame Vent tool will be very useful in your fight against the Chained Ogre. Once the Kanji for "Perilous Attack" appears, the Ogre will open its arms, and crouch. Once this happens be ready to jump away! The Ogre will leap forward and attempt to grab you. Since this is unblockable, it is best to evade the attack. 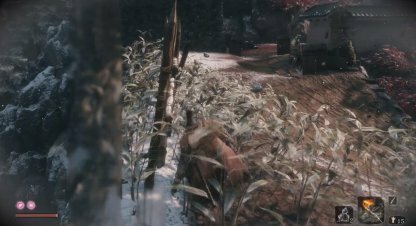 Crouching and entering the grass is useful as it breaks the enemy's line of sight. Use it to get close and deal Deathblows on unsuspecting enemies. It is best to prioritize killing enemies with ranged weapons as they can be a nuisance even if they are far away. 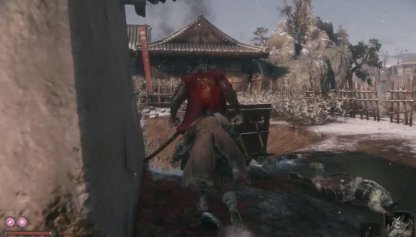 Once ranged enemies are killed, there will be no distractions against you and your fight against Gen. Yamauchi. This item will allow you to survey the area before exploring it. It will let you see distant objects, enemy placements, and more. It will be in the hole you grapple to after defeating the Chained Ogre. The Gourd Seed will increase the maximum uses of the Healing Gourd. Presenting this seed to Emma will upgrade the Healing Gourd. 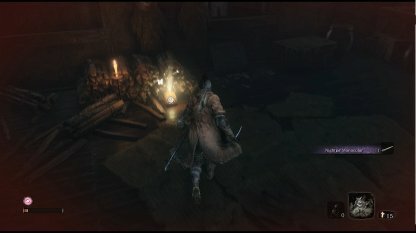 It is in the left corner room of the gate after defeating the Chained Ogre. 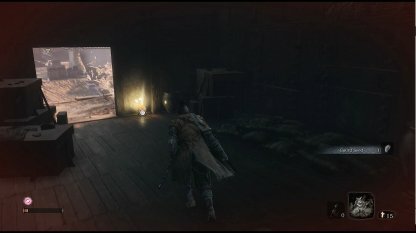 The Ceramic Shard when thrown, can be used to lure enemies to certain locations. You can use it to separate enemies from groups, and deal with them while they're alone. They are in the same room as the Gourd Seed. 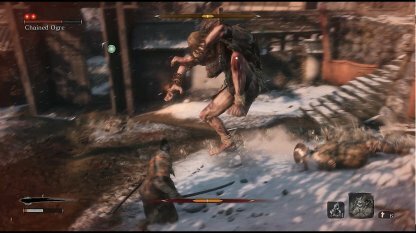 Once you have killed all the enemies, you can use stealth to sneak up behind the General and perform a Deathblow. This immediately takes out one of his HP Nodes, leaving you with an easier fight! Once the Kanji Sense Symbol for Perilous Attack appears, General Tenzen will start to draw back his sword. He will do a downward sweeping attack. Get ready to jump to avoid this attack. The General will also have another attack by drawing back his sword. If the sword glints, he will thrust his sword towards you. If you have the Mikiri Counter skill, you will be able to counter this. If not, it is best to avoid it.